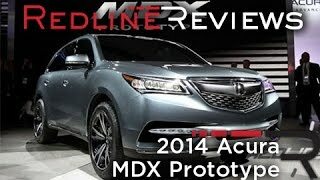 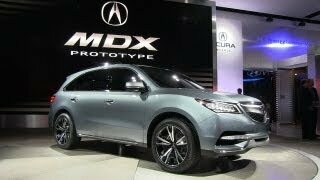 The 2014 Acura MDX Prototype made its world debut at the 2013 Detroit Auto Show. 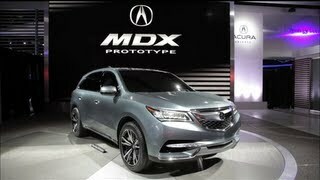 The "Aero Sculpture" styling of the 2014 MDX Prototype pursues the direction of a smart, compact and premium appearance with low, wide and sleek proportions; a clean, efficient and uncluttered design; and elegant, premium detailing, including the signature Acura Jewel Eye™ LED headlights. 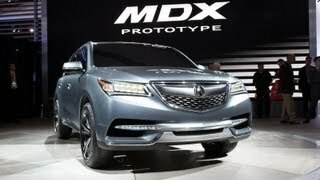 The 2014 MDX will also feature an all-new, more rigid and lightweight chassis, including new front and rear suspension designs that deliver a more refined, confidence-inspiring, and sporty driving character. 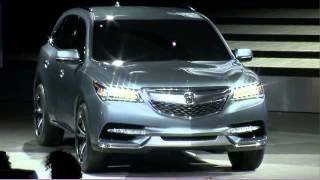 The 2014 MDX will be powered by an all-new, direct-injected 3.5-liter i-VTEC SOHC V-6 engine with Variable Cylinder Management (VCM) which will deliver improved torque and more spirited performance while realizing a significant increase in fuel efficiency to class-leading levels.